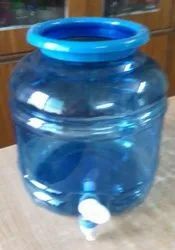 Offering you a complete choice of products which include mineral water jar 20 liter, mineral water bottle, mineral water jar bottle, water dispenser jar and 18 ltr water bottle jar. We are the leading supplier of Mineral Water Bottle made from high quality material at competitive prices. Size 18 Ltr, 20 Ltr. 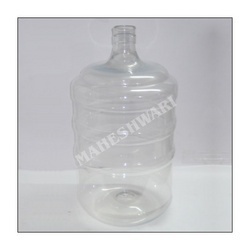 As a specialist in this industry, we bring forth a comprehensive assortment of Mineral Water Jar Bottle. 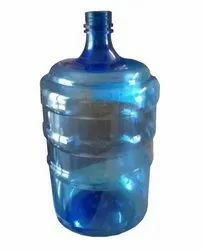 These offered Mineral Water Jar Bottle finds its usage in diverse industry applications, owing to its high stability, compact designs, dimensional accuracy & heat resistance. We offer these Mineral Water Jar Bottle in diverse sizes and specifications, in fulfillment with the details specified by customers. Dispenser 10 ltr. Bettrr design with leak proof design. 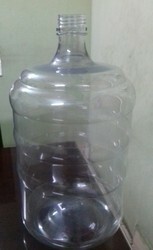 We have two types mineral water jar. 20 ltr and 18 ltr. Both are durable and leakage proof.